Much like Cee’s current ‘black and white’ challenge, this blog is blowing all hot and cold this week – from Kenya’s tropics in the past two posts to a Shropshire winter in this one. These photos are from LAST winter I hasten to add. And much as I had the most enormous fun out in the snow with my camera, I do not need a repeat performance yet. (Please and thank you in advance, Weather Gods). 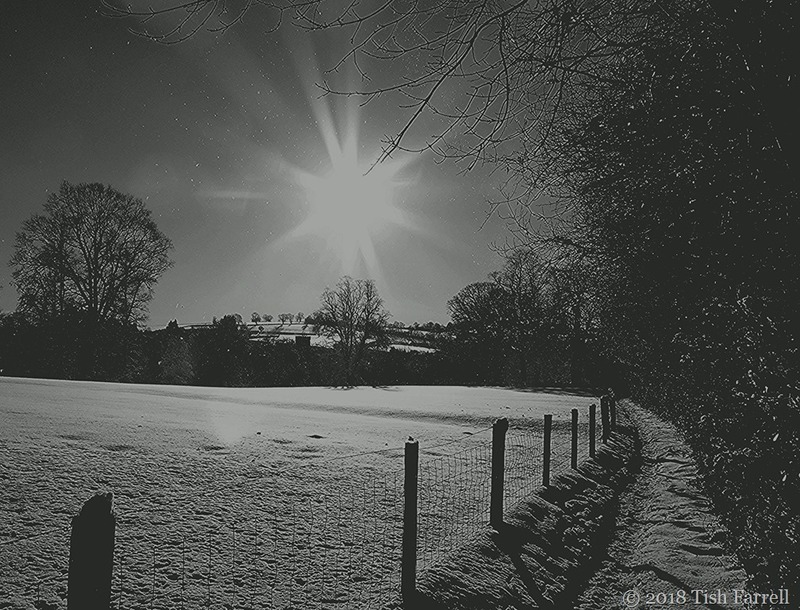 Anyway, here are some sunshiney snow-scenes from my favourite places around Much Wenlock: Windmill Hill, the old railway line, and the Linden Walk. 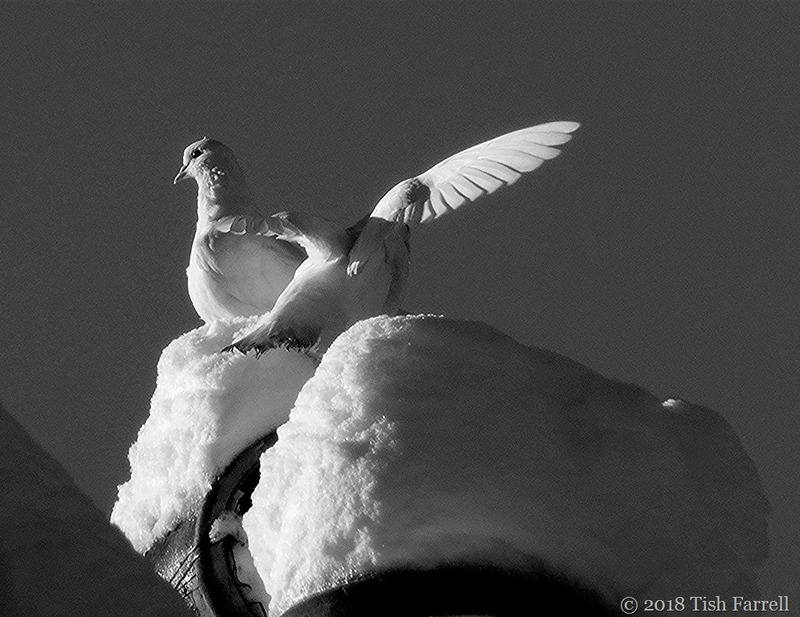 Posted on December 7, 2018 by Tish Farrell	This entry was posted in black & white photography, Much Wenlock and tagged Cee's Black & White Photo Challenge, Shropshire, snow, Tish Farrell Writer. Bookmark the permalink. The shot of the pigeons is a marvelous composition. Deserves a frame and a wall. The final shot? Too much sherry on your part? Perhaps you were merely pished? Hatful of Sky. According to Terry Pratchett: Pished. I am assured that this means tired. Pished. That must be it! Yes …. I am also leaning towards this explanation. Hilarious. ”Skew -whiff”. I haven’t heard that phrase in Donkeys! Donkeys! Who let them in here? Oh, stop horsing around, now! Nay, nay, good sir. Like a bit of canter. The donkeys can go now you’ve brought a horse. 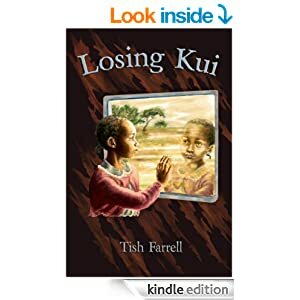 Oh, and quite a poetic title, Tish…. The barbed wire shot is a fantastic study of black, white, and geometry. My favourite. 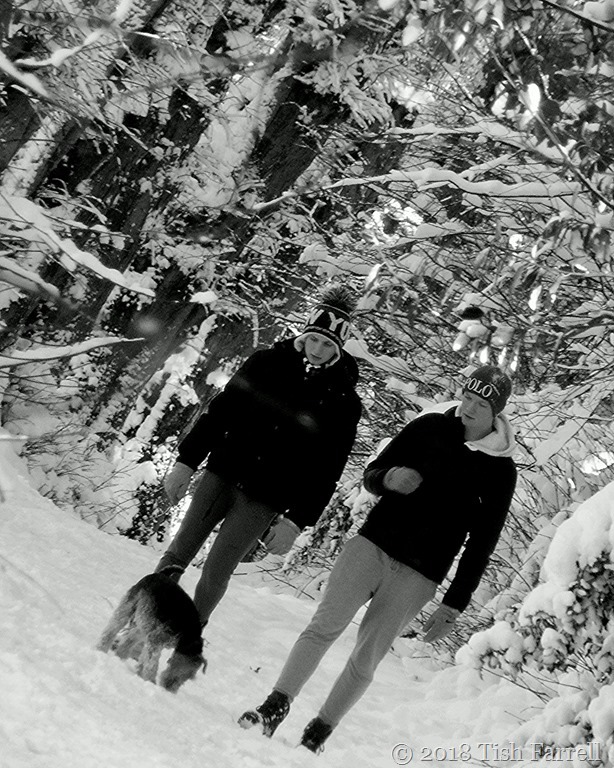 I wish we have this kind of snow again in Vancouver. Your shots are so inviting. Thank you, Suzanne. I was lucky with the light. The composition on some is excellent too. Deep and crisp and even – love the flat edit to #3 and the dutch tilt on the last one. 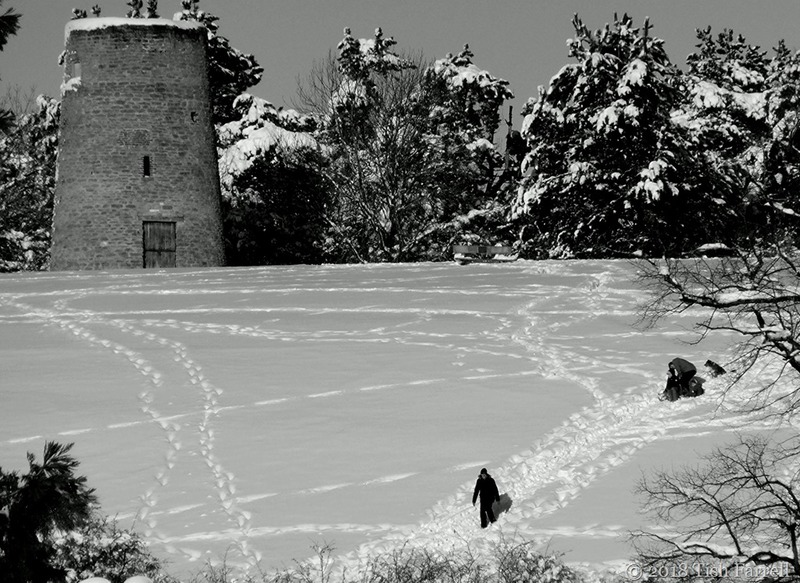 Cold is coming next week but snow seems far off – no white Christmases of late – winter seems to save that til last now. Were these taken last Feb? it was indeed crispy. 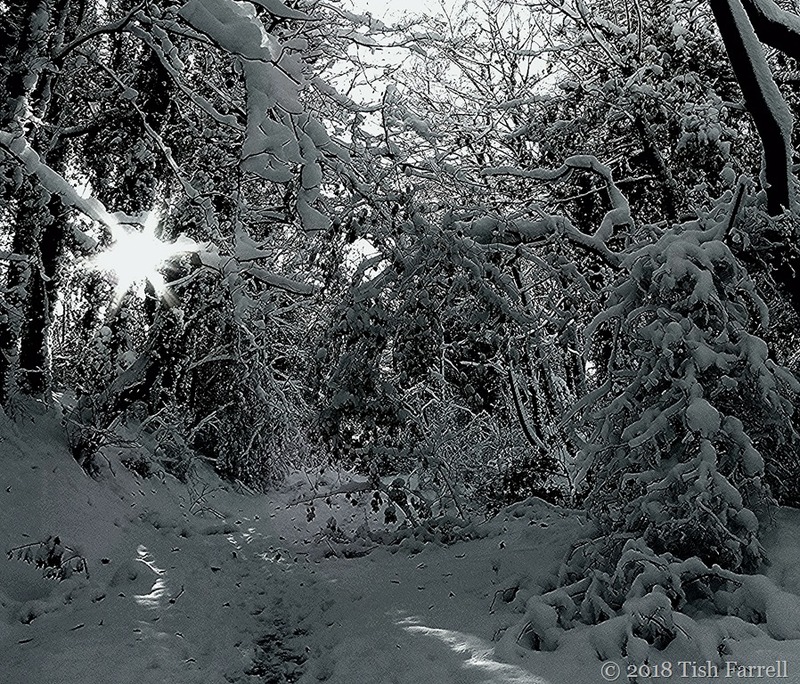 We had 3 lots of snow last winter, and these pix are mostly from this time last December, although one of the cameras I was using at the time seemed to think it was 1980 when it hadn’t even been invented! Roaring gale here last night, though calmer this morning. 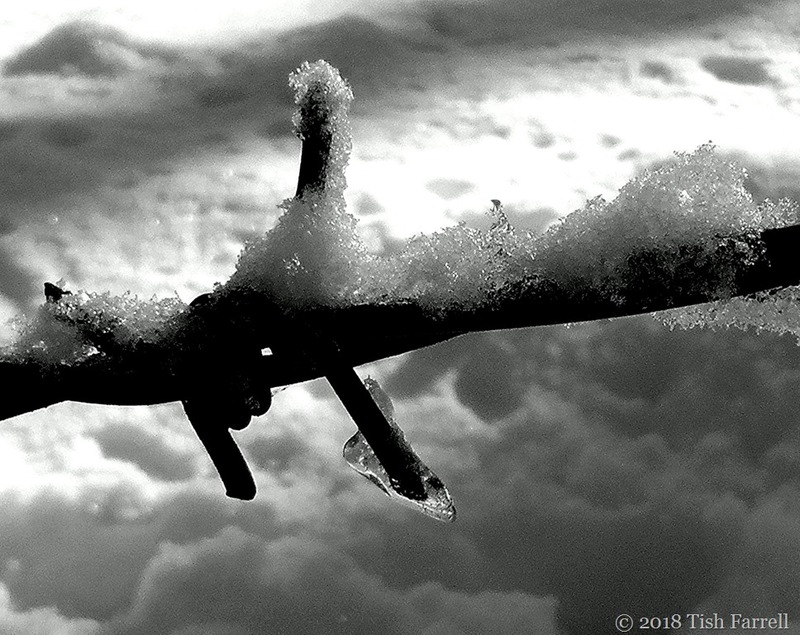 ah your camera tuned in to times when winter meant snow – and thus you had it! I love disused railway lines and the idea of walking down them in the snow. A time-sensitive camera. Now that is a very intriguing thought. Shiver my timbers! I think you just did 🙂 🙂 Happy weekend, Tish! Happy weekend to you too, Jo. We’re being blown inside out here. Much as it’s pretty I hope we don’t have the white stuff down here this winter, unless I can just hibernate! These are stark and wonderful, long for some real winter. Great shots! Have you ever wondered how does the darkest black on Earth look like? If you do check my last blog!